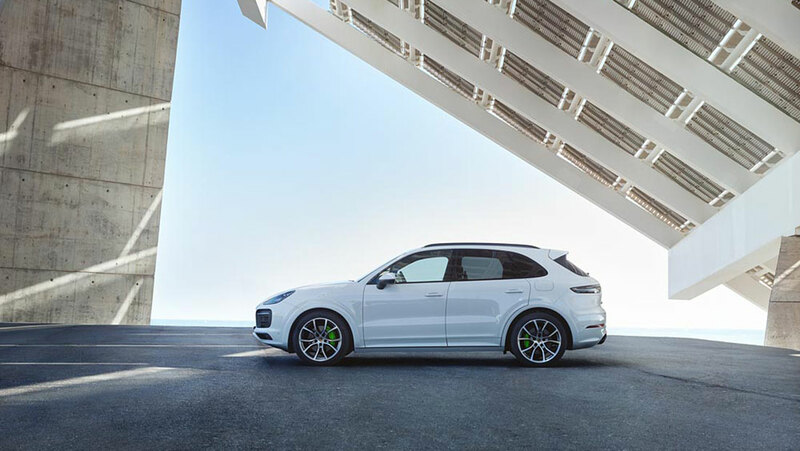 Porsche has officially debuted the 2019 Cayenne E-Hybrid, sporting impressive performance numbers and new technology taken straight from its top-of-the-line supercars. The PHEV Cayenne is the next step in Porsche's plan to flesh out its hybrid lineup as the company moves towards the launch of its first fully-electric car, the Mission E.
The E-Hybrid's main draw is its 3.0-liter, 340 horsepower V-6 and 100 kilowatt, 136 horsepower electric motor pair, which produces 462 horsepower and 516 pound-feet of torque when combined, rocketing the SUV to 60 miles per hour in 4.7 seconds and to a top speed of 157 mph. This is mated to a new 8-speed Tiptronic S automatic transmission that allows for manual shifting if desired but promises lightning-quick shift times in automatic mode. However, the Cayenne has a trick up its sleeve—like the 680-horsepower Panamera Turbo S E-Hybrid, this car can utilize a boost system available on the Sport Chrono Package that allocates the E-Hybrid's electric power to its acceleration, capable of making all 516 lb.-ft of torque available as soon as the driver touches the throttle, although the amount of power added depends on the driving mode. If this sounds familiar, it's because the system was taken straight out of the 918 Spyder Hybrid hypercar. Speaking of battery power, the Cayenne E-Hybrid has a range of 27 miles thanks to its upgraded 14.1 kilowatt-hour battery, a 30-percent capacity increase over the old hybrid Cayenne's system. Charging takes 7.8 hours but can be decreased to just 2.3 hours if the car is equipped with the optional onboard charger. Owners can observe charging activity via the Porsche Connect smartphone app, which can also locate nearby public charging stations. 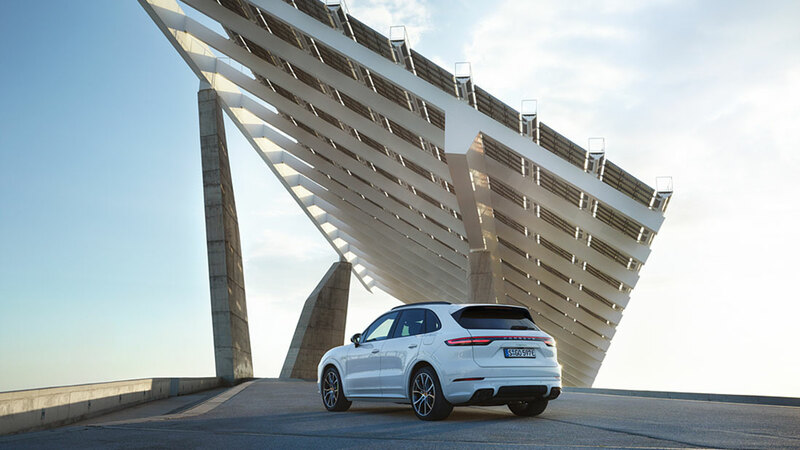 The Cayenne E-Hybrid is still a capable off-roader thanks to its standard active all-wheel drive and active suspension system, which already saw action during Porsche's rigorous tests in South Africa. Porsche Dynamic Chassis Control and a tow hitch that can lug 3.86 tons are just a few of the Stuttgart SUV's über-utility options. Other available features include new lightweight 22-inch wheels, massaging seats, independent climate control, and Porsche's InnoDrive adaptive cruise control system. The Cayenne E-Hybrid is also the first Porsche that can be equipped with a full-color heads-up display. 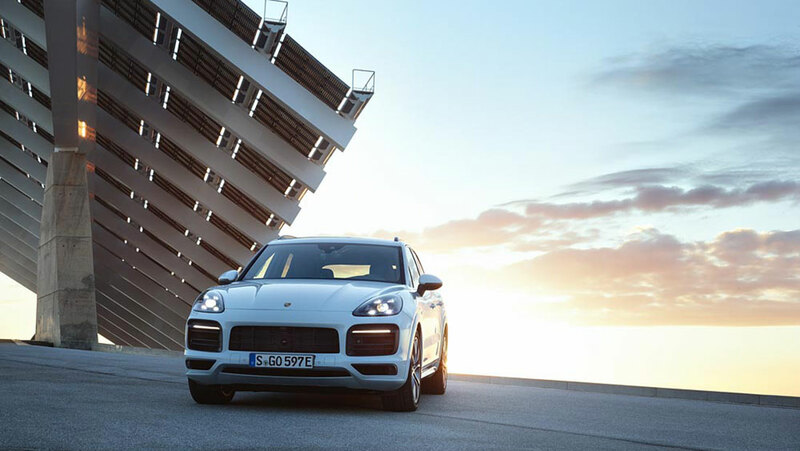 The 2019 Porsche Cayenne E-Hybrid will start at $79,900 and be available for purchase in the United States at the beginning of 2019. According to the report, a design has already been penned. Though you might not realize as much at first glance.